Government agencies are doing a splendid job at making sure Louisiana flood victims are provided with much-needed food assistance at the moment, but at the same time, federal agencies are continuing to fail at home-oriented relief efforts. For the third straight week, flooding victims in Louisiana parishes have had the EBT cards accessible to them, which gives them temporary assistance with food products in the wake of the disaster. 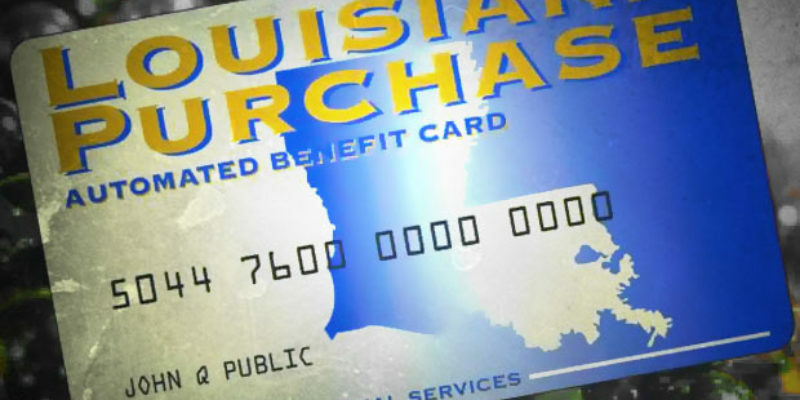 The Louisiana Department of Children and Family Services has been aiding victims in the process, registering tens of thousands for food stamps thus far, according to WDSU. At the same time, home-oriented relief by the Federal Emergency Management Agency (FEMA) has been criticized for being far too slow. Just days ago, WWL reported that despire thousands being impacted by the flooding, only one person in the Baton Rouge area had received a ‘FEMA trailer’ yet to temporarily live in. FEMA blamed the issue on the size of the new trailers, but that hasn’t kept residents from noticing the lack of competence within the federal agency. “Having one trailer set up so far out of all of this, one trailer. Where I’m from I don’t call that satisfactory at all,” said Gonzales State Representative Clay Schexnayder told WWL.